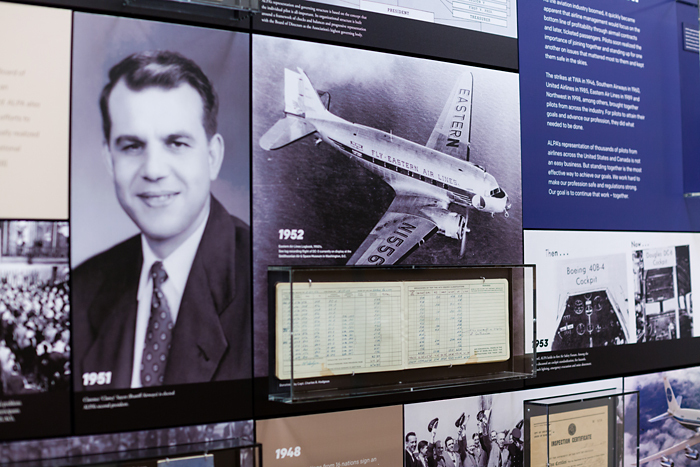 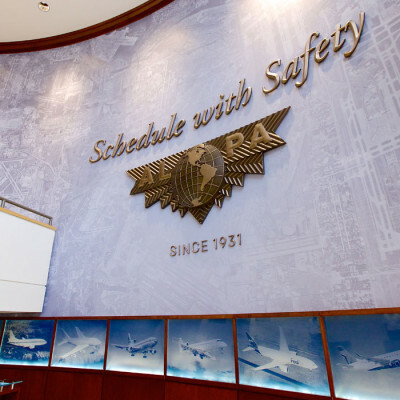 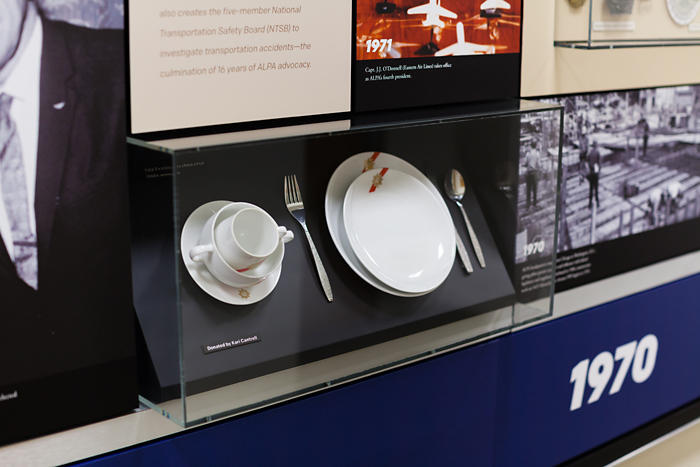 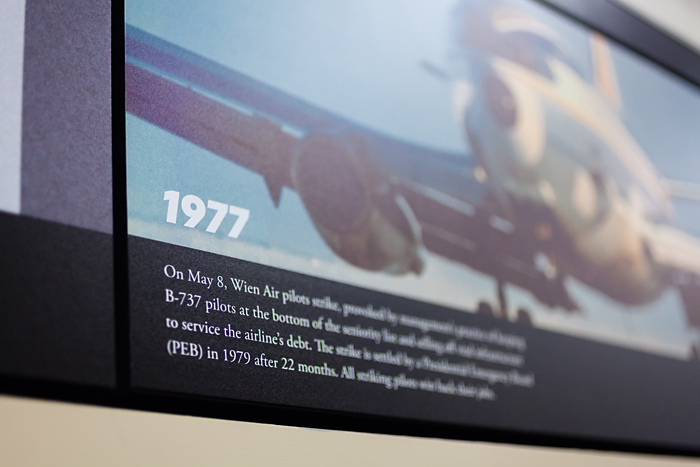 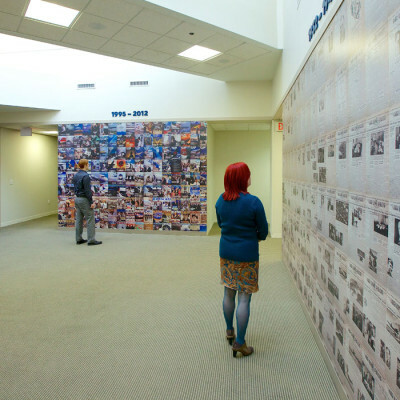 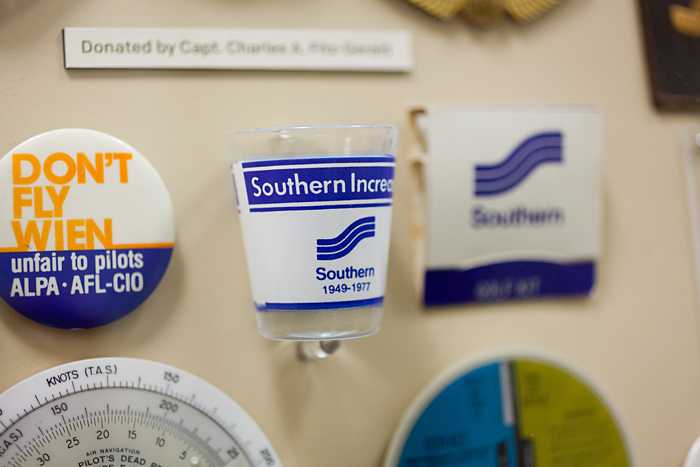 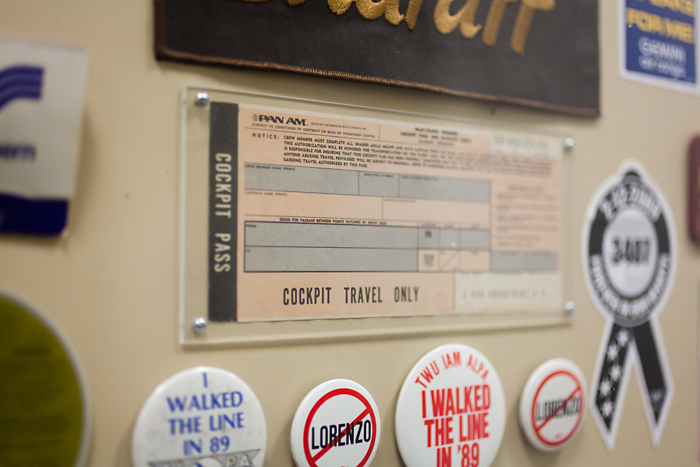 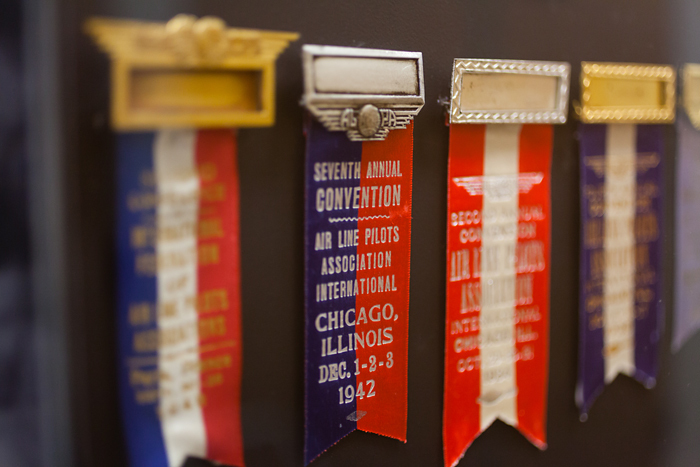 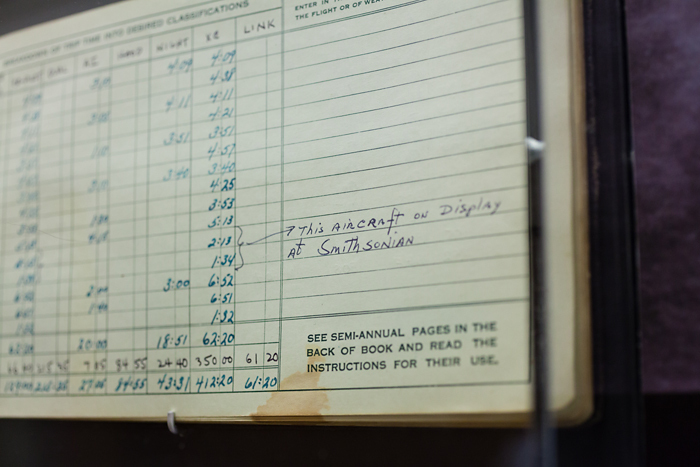 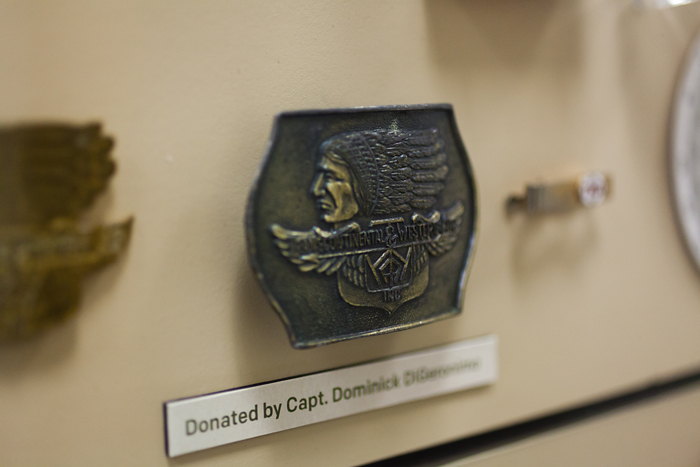 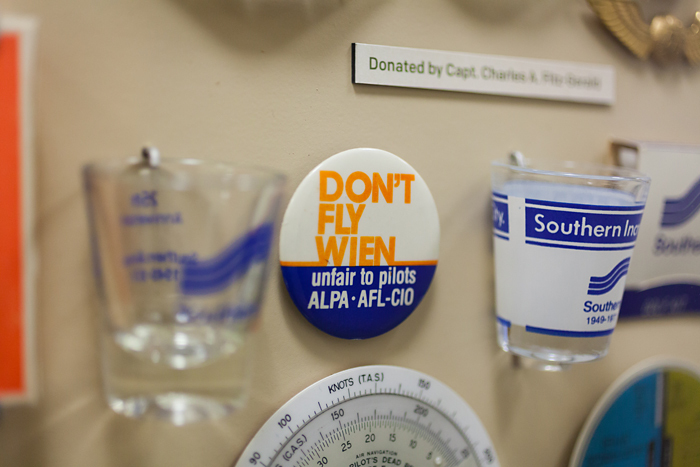 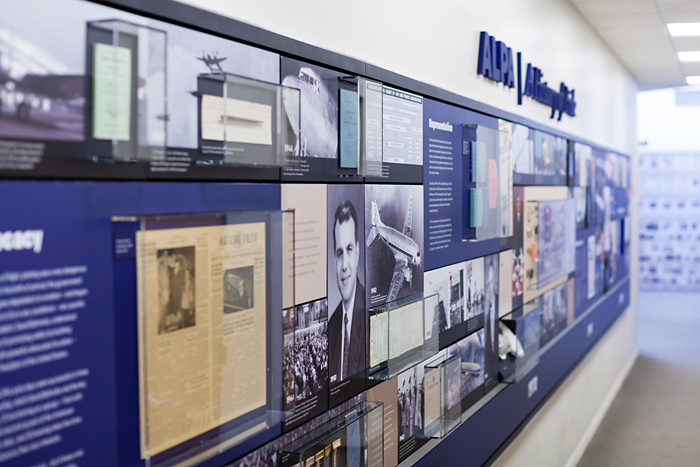 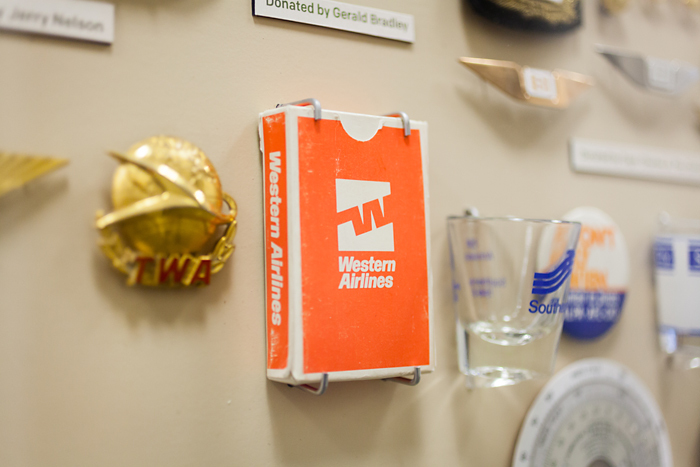 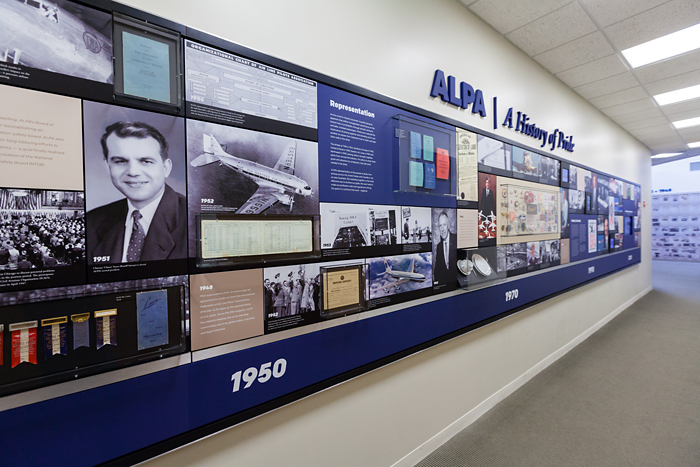 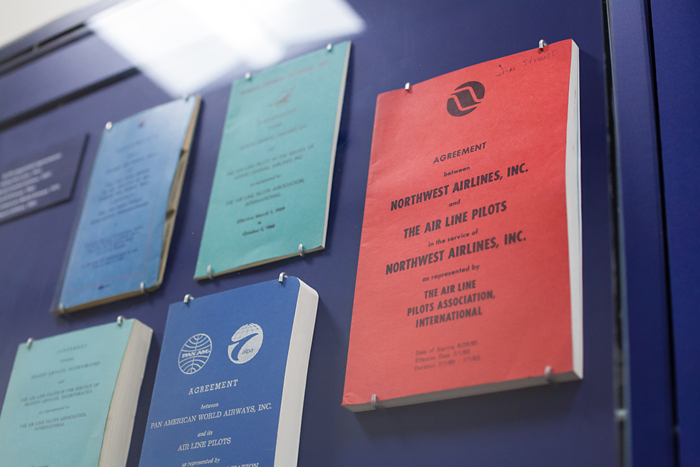 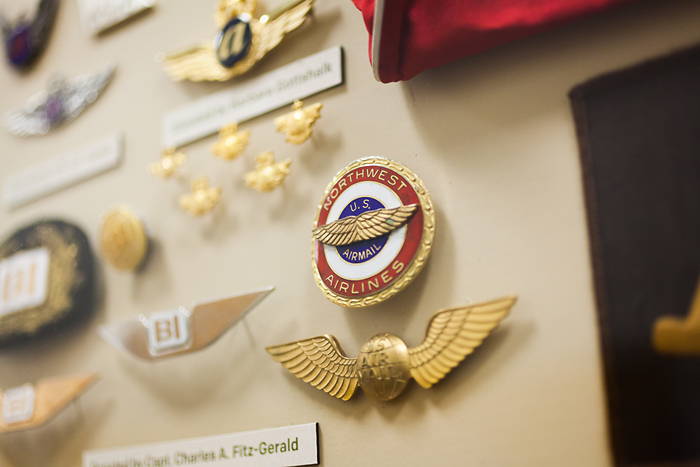 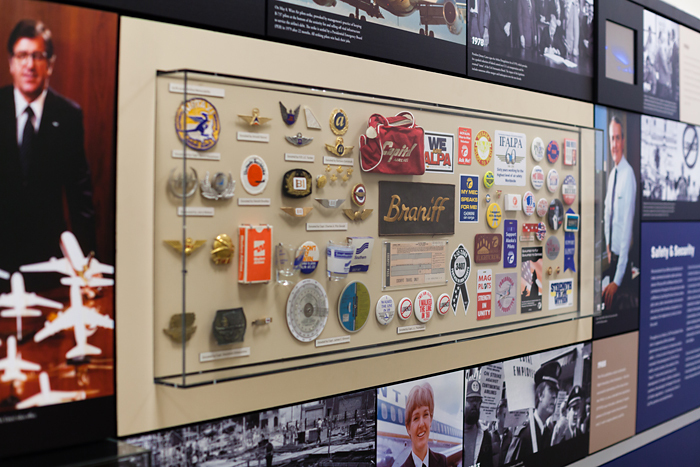 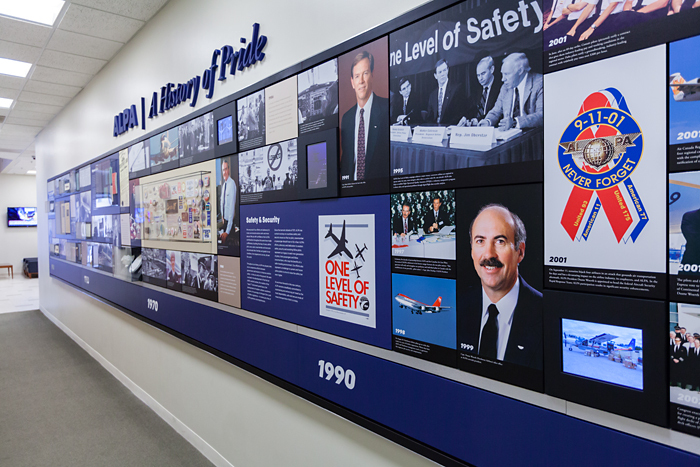 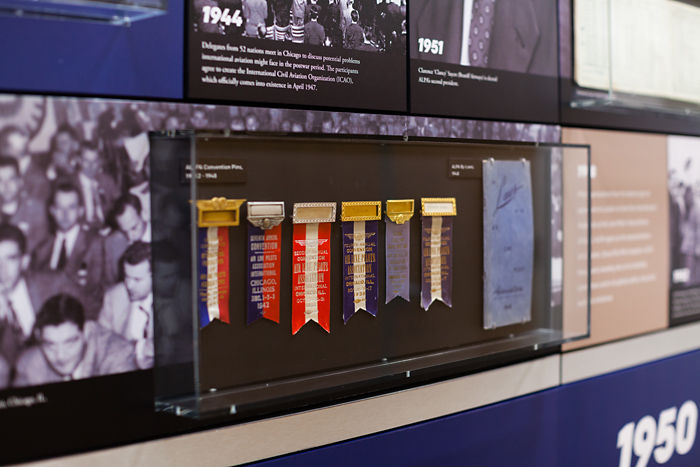 Another part of our comprehensive design program with The Air Line Pilots Association included a history wall with artifacts collected over the organization’s 80+ year history. 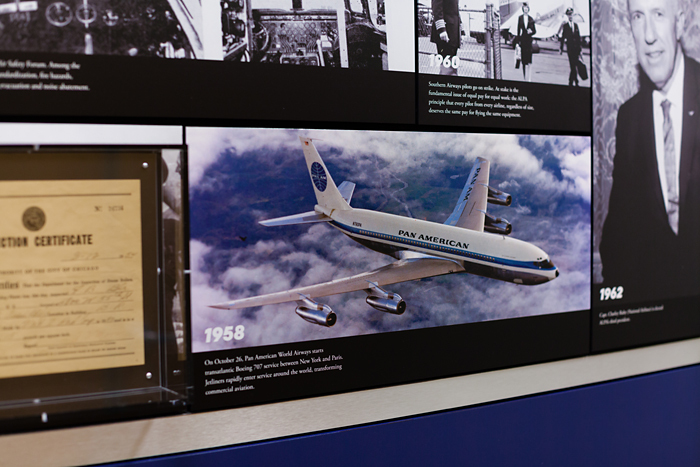 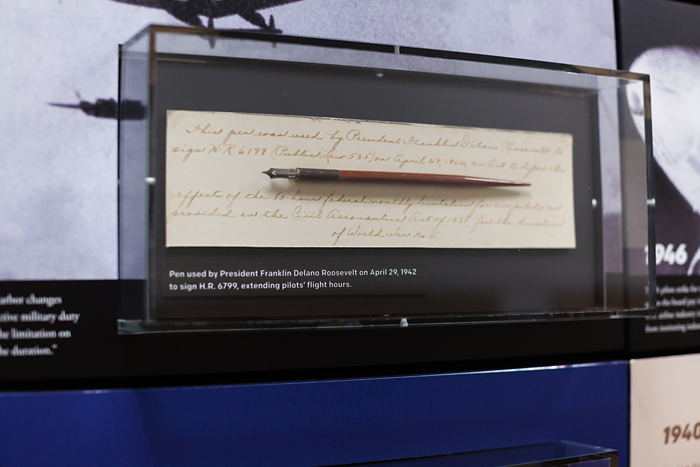 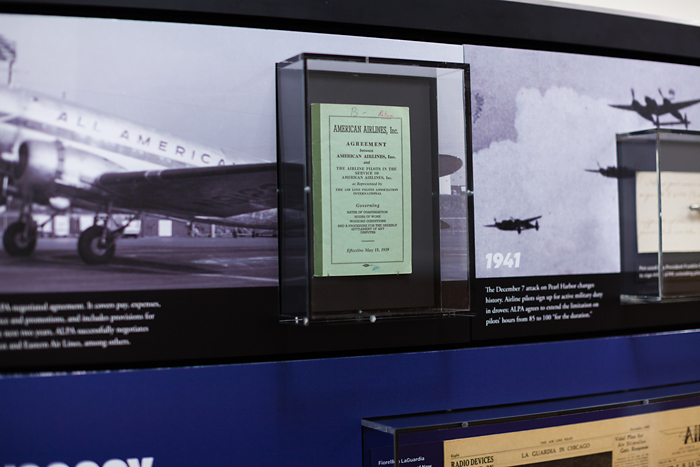 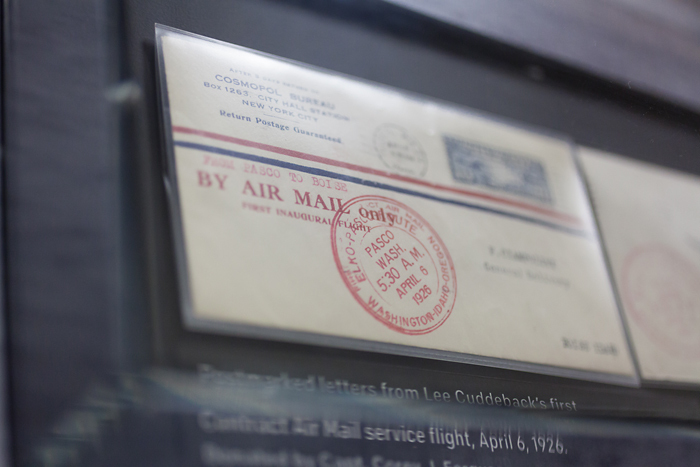 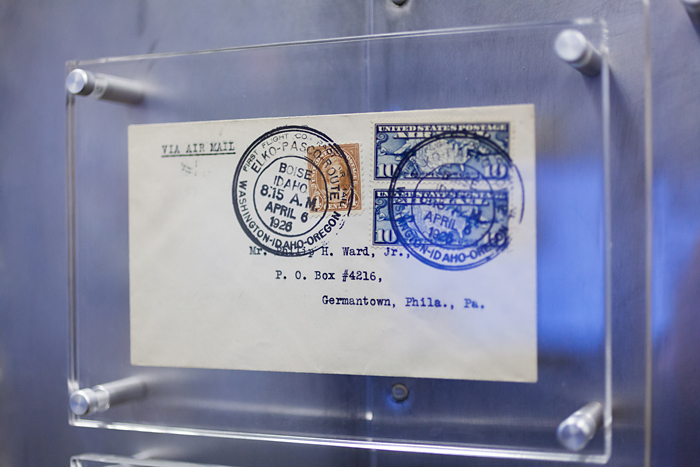 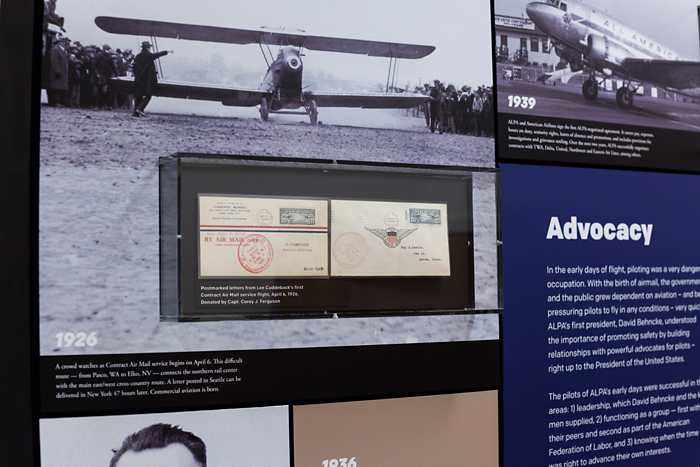 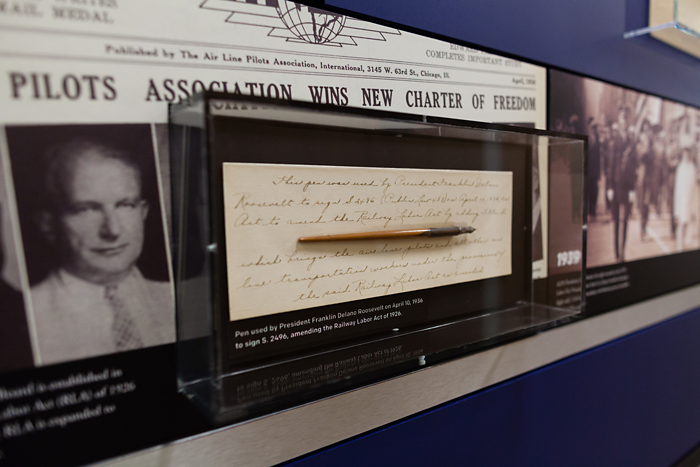 From a postmarked letter delivered on the first contract airmail service flight, to the pen President Franklin Delano Roosevelt used to sign into law air line pilots collective bargaining power, the wall is a visual history of ALPA’s influence in the airline industry, displayed in vitrines, panels, slideshows and video. 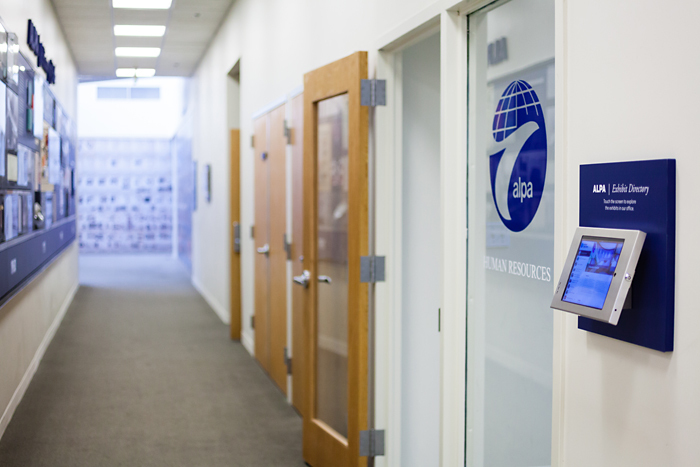 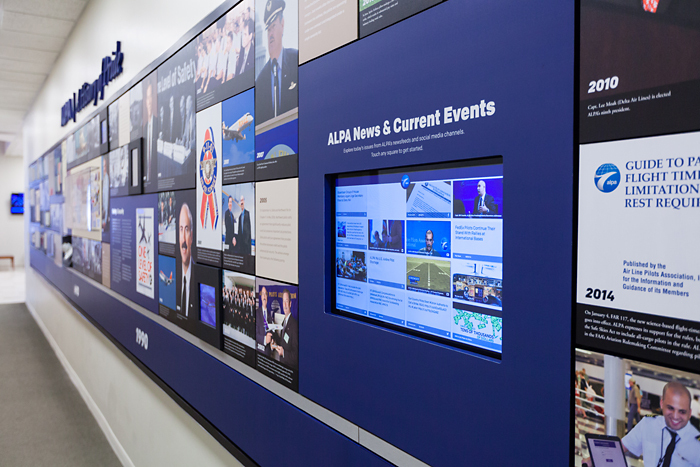 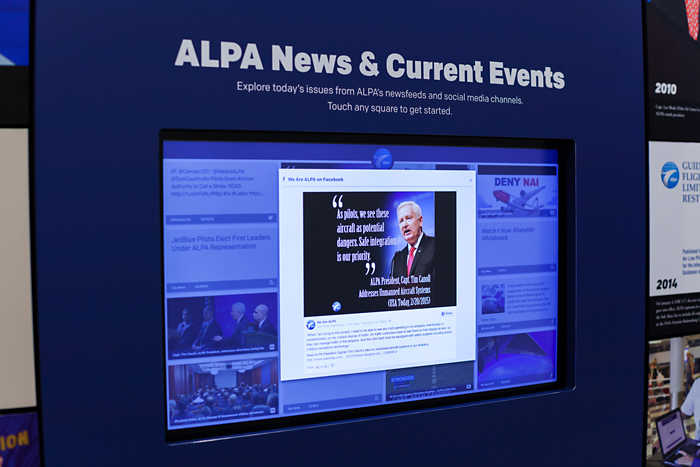 At the chronological end of the wall, we created a touchscreen display that aggregates all of ALPA’s social media channels and press releases onto a single screen. 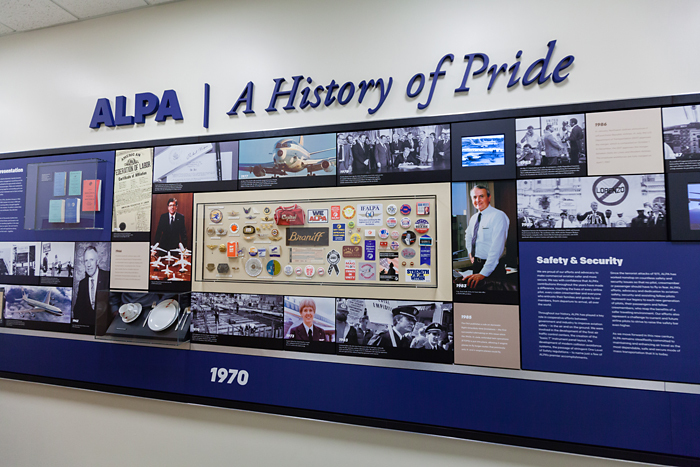 With photographs, facebook posts, and video it is an up to date look at current events affecting ALPA’s members. 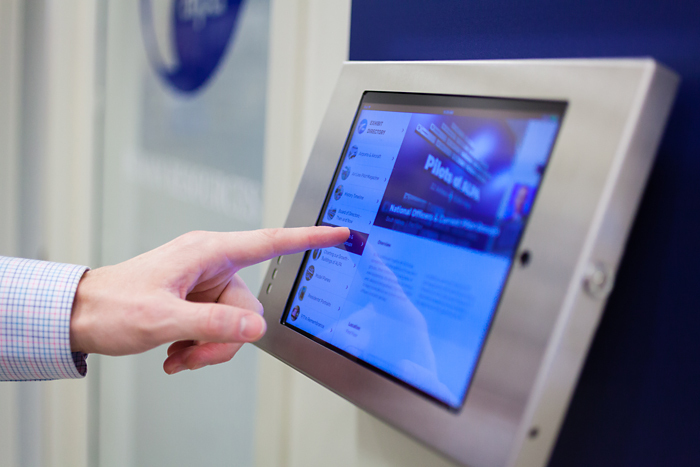 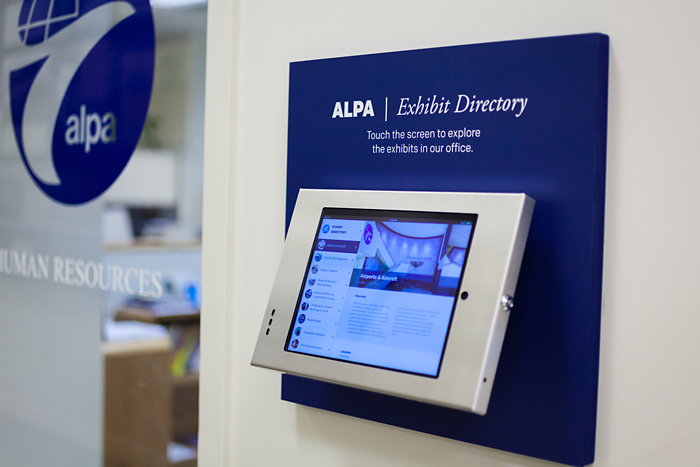 An iPad kiosk mounted on the wall opposite the display acts as an exhibit directory and gallery, pointing the visitor to the exhibits and displays throughout the office.